CALGARY, Nov. 8, 2016 /CNW/ - METI today announces the global launch of RoboGarden, a web-based app that teaches teens and tweens computer coding literacy. RoboGarden is a learn-by-doing, game-style environment. It gives students a fun, step-by-step way to learn the building blocks of programming from the basics to advanced concepts. It teaches the computer languages that professionals use to author software, smart phone apps and robotic control systems. "RoboGarden gives today's students a head start and a significant advantage for their careers. In a substantial and ever growing number of jobs, programming skills are just as important as skating is to hockey players and asking questions is to journalists," remarks Dr. Mohamed Elhabiby, President of RoboGarden Inc.
By progressing through all levels of RoboGarden, students will have the coding skills they need to build their own apps and even take on freelance programming assignments. RoboGarden lets students progress through lessons at their own pace. And it empowers parents and teachers, who don't have a technical background, to guide children through their coding lessons. 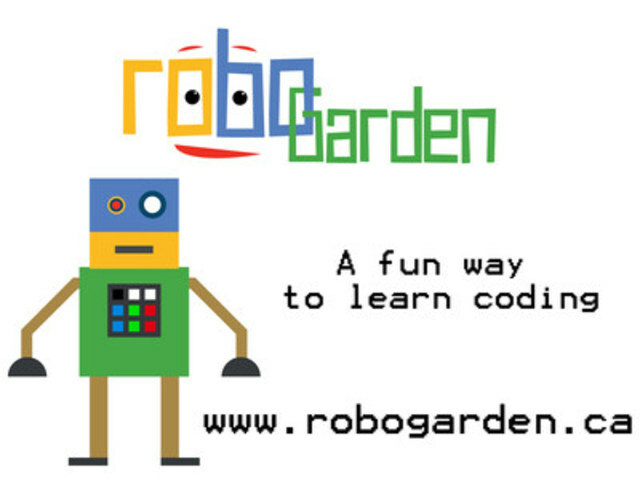 Now every school with an Internet connection can offer beginner to advanced RoboGarden coding courses. "We believe that RoboGarden will create bright new opportunities for individuals and entire communities. Coding literacy is an essential driver of success in the digital economy. Cities with a critical mass of programmers have a distinct advantage," says Dr. Elhabiby. RoboGarden is available on a subscription basis at the special launch price of $1.99 US for the first month. For more information visit www.robogarden.ca. RoboGarden Inc. is a spinoff of METI (Micro Engineering Tech. Inc.), an international, award-winning, product development and consulting firm that operates in a wide range of technical sectors. RoboGarden was born out of METI's in-house program for training employees in advanced computer languages. METI's headquarters are in Calgary, Canada. SOURCE Micro Engineering Tech Inc.